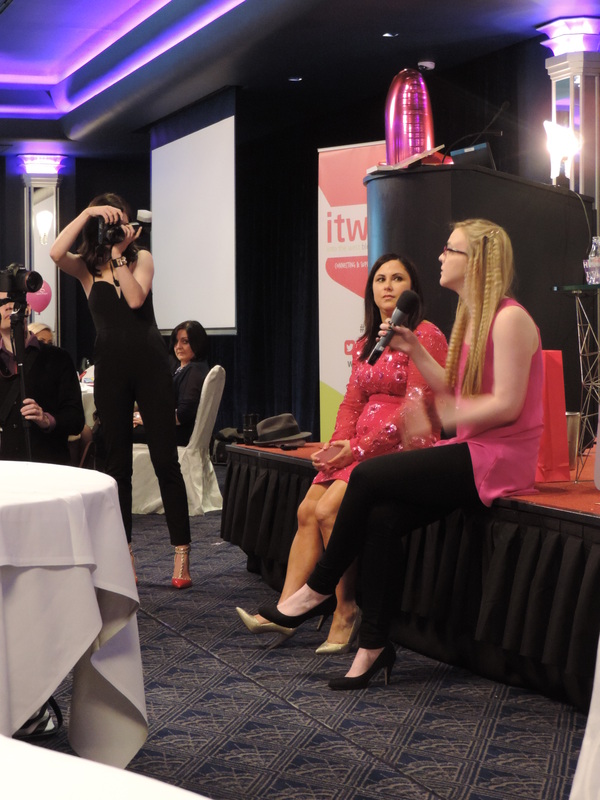 If you are a blogger then you will know all about the dynamic duo that are Sinead & Saibh who set up and run Into The West Blogger Network (ITWBN). For those not in the blogging world these two girls have set up a community for bloggers to share their experiences and discuss topics that they find similar. 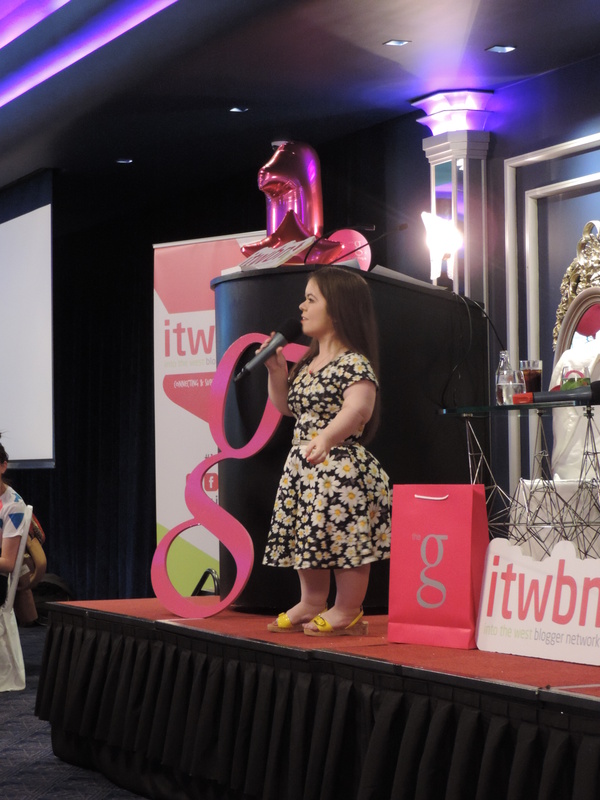 The two girls set up ITWBN last year and had their first event with 20 people. 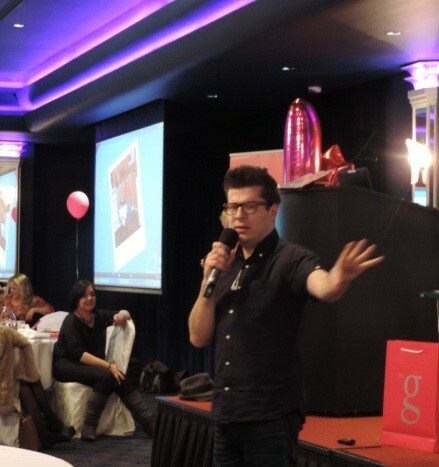 Now a year on they have created a huge blogging community that saw over 130 bloggers attend one of their events last Sunday in The G Hotel in Galway. 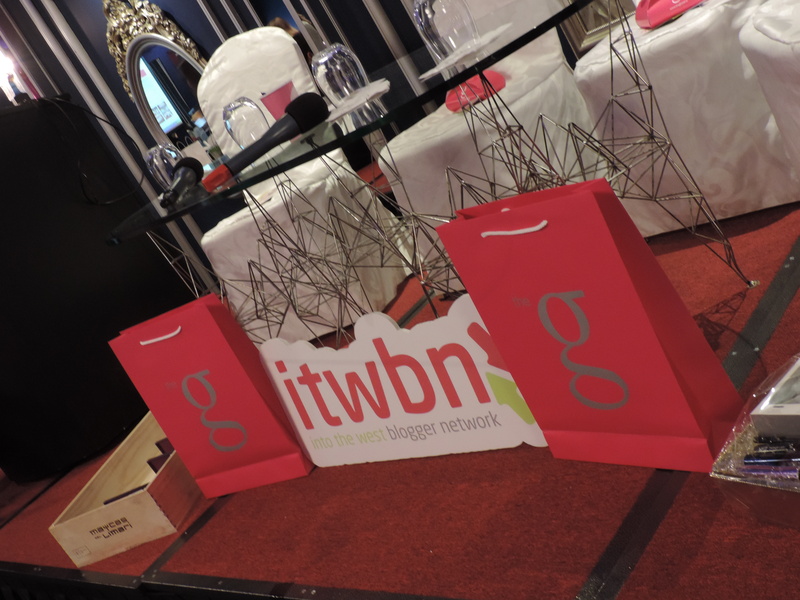 So what can you expect from an ITWBN event? You will network until your little heart contents. This community was set up to unite bloggers and connect them. Networking is brilliant in any job. You never know who you will end up sitting beside and you need to be able to sell yourself, no matter what the situation. Learning. I think no matter what age you are, you will always learn. Every talk you attend, every person who tells their story, that’s learning. I love listening to peoples stories of how they found success and the paths they took to get to where they are today. At this particular ITWBN event there was a lot of learning from some amazing speakers that I will discuss later in this post. It is a great way to improve your skills. Whether you lack confidence or are just shy, this event will help you improve your communication skills by interacting with other bloggers. Inspiration. You will come home with a lot of this and might think that now is the time to take over the world. As a blogger I always feel inspired by listening to other bloggers and if you ever have writers block, just take a moment and listen to what others have to say. Both times that I have been to an ITWBN event there has been really good brands involved where you can sample some of the products and get to talk to the brands themselves. Friendship. You will make endless friends who you will chat to on twitter more than your real friends! Not everyone gets twitter but that’s alright, we have our blogger friends for that. Now lets take a look at what I learned from the day and what knowledge and inspiration I took home. 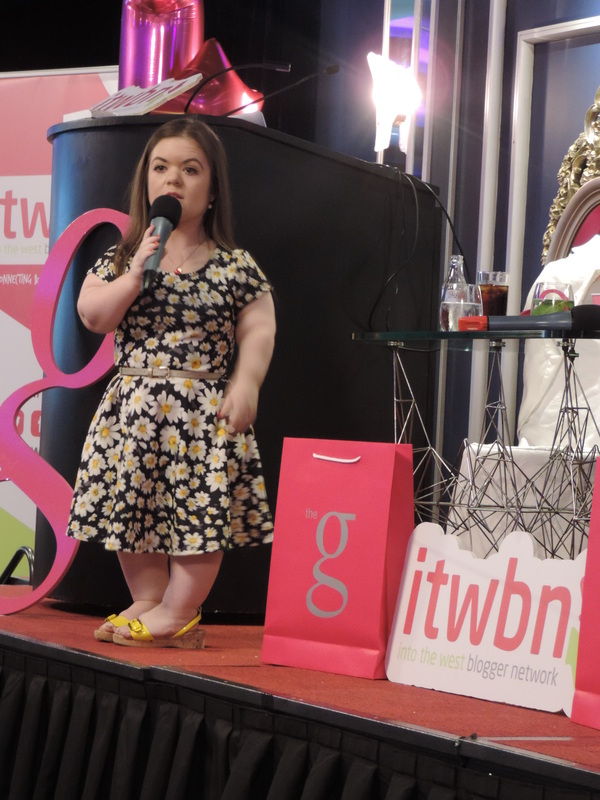 The first speaker of the day was inspirational speaker and blogger Sinead Burke from Minnie Melange. I have met Sinead before and when I say I could listen to her all day that is no lie. Endless cups of tea would be needed. Sinead discussed how she started her blog and the hilarious story behind it which really you need to hear it from her to understand. Sinead is also undertaking a PhD in education and I admire her so much in her commitment to both and her passion for both. Next up was Deirdre from Castle Print who discussed how branding for any blogger or brand is so important. As a girl who works in marketing I know how important sticking to branding is and why it works. Deirdre highlighted the importance of getting your brand right from the start. Do your research, look into what others are doing and make sure your name is compatible. Engage with graphic designers and make it worth your while. You want your brand to be consistent and you want the colours and the mood you choose to reflect your brand. Deirdre stressed the importance of capturing people’s attention in 4 seconds on your blog. What attracts people to go onto your page and read more. I learned a lot from Deirdre and found her really interesting. My favourite speaker of the day was Wayne Denner. Wayne is an online reputation speaker and mainly speaks to younger people about the importance of your own online reputation. I have to say the work Wayne does is so important for the youth of today. When I was younger snapchat and all the social media sites that we love were not around. Wayne stresses the importantance of thinking before you tweet and the knock on effect everything you say on social media can have. You can control your own online reputation so why not do it. Bad online reputation can affect your future job prospects as well as friendships. I would agree with having your own opinion but just think before you speak negatively about anything. Your views and opinions can change so bare that in mind. Wayne spoke about being careful with content you post online and how it can come back to haunt you. As a Blogger this is so important because if you need to be careful about what brands you discuss but also you opinion and knowledge too. Once something goes online it will be there forever and will be incredibly hard to remove. This is something I don’t think the youth of today understand and I am glad that Wayne is highlighting this to them. So there you go, I had a great day and learned so much from these incredible speakers. If you are thinking about starting blogging or want to know more about it, Sinead & Saibh are starting up an ITWBN Blogger School. Something that I think would be a great learning tool for anyone wanting to get into blogging. Thank you girls for a great day and until the next ITWBN Blogger Event! Posted in Blogger EventsTagged Blogger Event, Bloggers in Ireland, Galway Bloggers Event, Irish Bloggers, ITWBN, ITWBNBloggerEventBookmark the permalink.